There are not many perfumes less in character for me than Leather Oud. And although I’m very often wrong with predicting what I like and what I hate, I was not wrong here. But I don’t hate Leather Oud, not at all, I admire and respect it and I think it is an unbelievably good perfume, it is just not for me personally. As hard as that may be for Dior, we have to live with that reality. Created in 2010 by Francois Demachy, Leather Oud includes notes of cardamom, clove, birch, leather, oud, labdanum, cedarwood, vetiver and civet. So far, so good. 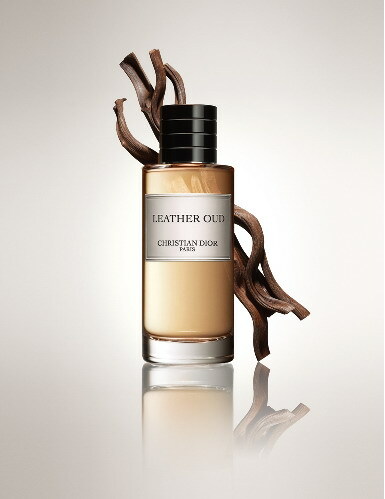 I would want to wear this, although it is a tough leather, but there are times and occasions for that, but about an hour into wearing Leather Oud really lets its inner animal go rampant. That oud in there is giving its very best barnyard performance and there is civet in there and not just a dusting either. Leather Oud is positively growling on my skin in the drydown. I kept checking my sons diaper and giving my husband the evil eye, but both were innocent. The animal was me. Leather Oud is very well made, it has excellent sillage and great tenacity and I plan to smuggle it into my husbands stash, it might be perfect on him. I’m a bit sorry that Leather Oud is not for me, although I’m not exactly surprised. Maybe I’ll revisit the animal in me from time to time, it might be interesting to see what it is up to. No doubt, my former teaching therapist would agree. This entry was posted in Dior, Dior La Collection Privée, Fragrance Reviews, Leather, Woods and tagged Dior, Fragrance, Francois Demachy, Leather, Oud, Perfume, Review. Bookmark the permalink. I had a mission during my last London trip, which I didn’t accomplish (I might be that wilting violet, after all…). Yes, I sniffed some of the Collection Privee, but they’re so overwhelming for me that I only did so with some selected members. The lovely Andrea gave me a purpose to concentrate my attention on Mitzah, Ambre Nuit and Bois d’Argent. So you see, I unfortunately passed Leather Oud. But then again, I was quite mesmerized by the new Oud Ispahan. Quite a lot, in fact. I want to hear everything about your trip!!! 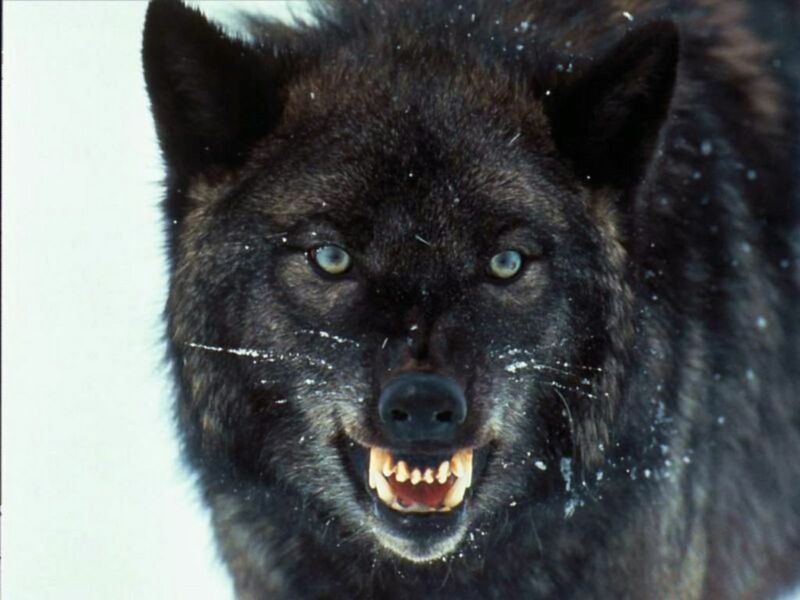 The wolf picture is great! IMO sometimes we all need a bit more animal in us. As the lovely Lady Jane Grey commented, I have and love Ambre Nuit and Bois D’Argent, I am working on loving Mitzah but getting there, I openly hold my hands up and announce that I am indeed a shrinking violet as I have no intention of ever wearing a perfume that made you check your sons nappy :-). I do love the Dior line but on this one I am afraid we will have to part company albeit unfairly as it’s unsniffed. I’m hoping for Grand Bal to complete my Dior collection as well. Andrea, please, this one time don’t believe Birgit : it’s not really animalic, not at all, there are loads of lovely sweet roses in there ! I agree Bijou Romantique sounds very nice, unfortunately I totally forgot about it at Les Senteurs when I had the chance to try it. Thanks for reviewing this one Birgit. I am waiting on a sample of this. And based on your review, I will probably love it, the beauty of fragrance is it’s subjectivity. One man’s poison is another’s lifeforce :-). Do you think certain skin types favour certain types of scent? Absolutely right, Sharryn. I hope you love Leather Oud! Oh sounds fascinating! However I am getting a little wary of owning too many perfumes that I adore but I’m not comfortable wearing out of the house and this sounds like it could be one of those… In COMPLETE contrast to this I am currently happily wafting about in FM’s Lipstick Rose! Hah, that is really a complete contrast. Perfume for me must be wearable first and foremost, which is why I’d never go for something like Leather Oud, but I can appreciate it and be glad it exists. room. I have known for along time I simply have no tolerance for Oud and Civet. So my temptations are elsewhere. Bless your Husband and children – I am still laughing over this statement only because it sounds like something I would do! Go the animal! Was it a little fun? Thank you for the funny post! And, maybe more importantly, for bringing a fully satisfying perfume experience to life without creating a lemming! (Of course, this is just for me personally, there are probably a lot of animalic fragrance fanatics fervently checking Surrender to Chance to see if they can get a decant, right this second.) Between Mon Precious Nectar, Metallica, and Amber Nuit, I am feeling quite deprived! And then I feel guilty, because, as we all know, I just counted my perfume bottles and then added one more (to my husband’s collection, of course;). Isn’t that nice what perfume can do to us;-) – with us? Not just purring cats but real beasts. This is so close to Guerlain’s Songe d’un Bois d’Ete which I have. I wonder who copied whom! They are close indeed. I think both brands made their version of the Arabian oud-centric style, since it is so en vogue these days.